If you thought one notch is already more than you can handle in a phone, you might have just dodged a bullet. To save hapless users from overzealous OEMs who might some day hit upon the brilliant idea of incorporating a whole bunch of notches in their smartphones, Google has now laid down some ground rules about exactly how many of those unseemly ‘design features’ can be included on each device, though how it will enforce these rules remains to be seen. In a post on the official Google Blog earlier this week, Android UI product manager, Megan Potoski, announced that manufacturers won’t be allowed to make devices with more than two notches – one on top and one down below. According to Potoski, “devices may only have up to one cutout on each short edge of the device … You won’t see multiple cutouts on a single edge, or more than two cutouts on a device. You (also) won’t see a cutout on the left or right long edge of the device”. The company is also mandating a few other design elements to ensure that the notch cutouts do not negatively affect the experience of third-party apps. “In portrait orientation, with no special flags set, the status bar must extend to at least the height of the cutout. In fullscreen or landscape orientation, the entire cutout area must be letterboxed”, says the company. While Google has officially incorporated support for the notch in Android P, the company says that 11 Android OEMs have already released 16 notched smartphones between them, “with more on the way”. While the Essential PH-1 was the first notched device in memory, it became a must-have feature after the release of the iPhone X last year, and only a few manufacturers such as Sony and Samsung have managed to stay away from it thus far. Even the Google Pixel 3 XL will likely have a notch, which is already become subject of ridicule even before the phone’s launch. 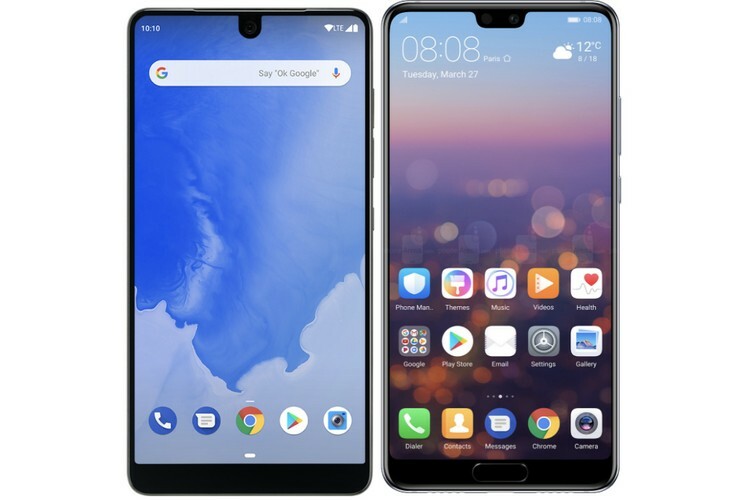 The notch is one of the most divisive design features on modern smartphones, but thankfully, even as they are truly becoming a ‘thing’ this year on many Android smartphones across categories and price points, new, innovative designs are coming to the fore, with Chinese manufacturers, long derided for being ‘copycats’, taking the lead with notch-less, all-screen devices like the Vivo NEX and the Oppo Find X.